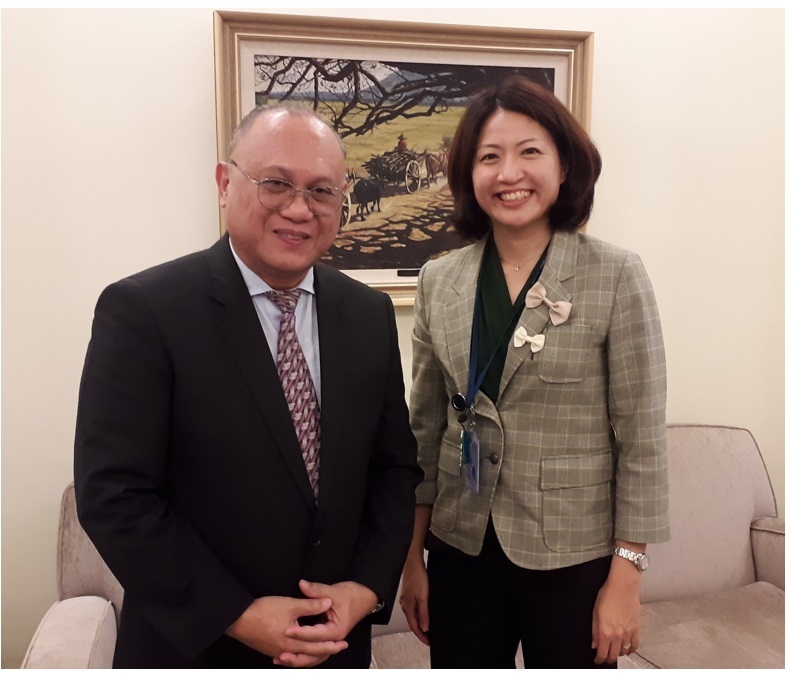 13 February 2019 – Minister and Consul General of the Philippine Embassy in Singapore, Mr. Adrian Bernie C. Candolada, formally made an introductory call on the Deputy Director of Singapore MFA’s Technical Cooperation Directorate, Ms. Elenore Kang, last 12 February. During the meeting, Minister Candolada acknowledged the milestone in the bilateral relations between the Philippines and Singapore as this year marks the 50th anniversary of the establishment of their diplomatic relations. He also emphasized that the 4th Round of the Informal Consultations on the Philippines-Singapore Action Plan convened in Manila last December provided the impetus for the year-round commemorative activities being organized by both countries. During the meeting, Minister Candolada reiterated the interest of the Philippines to explore training opportunities for DFA and FSI personnel with Singapore. Ms. Kang suggested that such a collaboration could be explored with the Singapore Cooperation Programme (SCP) and the Diplomatic Academy. The SCP, which was established in 1992, serves as Singapore’s primary platform to offer technical assistance to other countries. Almost 3,000 Filipinos have benefitted from SCP’s training programmes that cover a wide range of fields – from economic development to e-commerce – as well as through its Singapore Scholarship. The Diplomatic Academy, meanwhile, serves as the training arm of Singapore’s Ministry of Foreign Affairs as it engages not only with diplomats and officials from Singapore but also from other countries and the private sector.